It starts with the team leader. 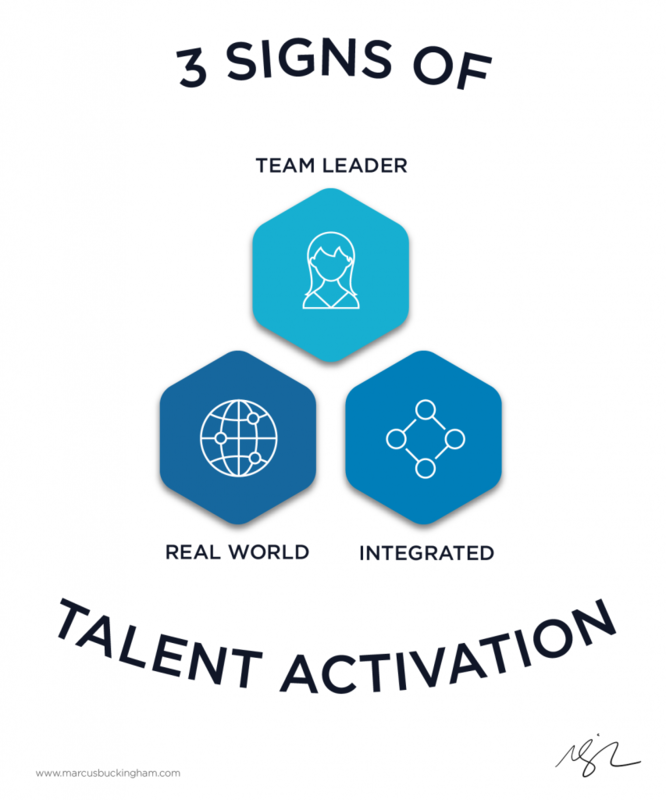 Talent activation happens on a team, between a team leader and a team member. So if your tools aren’t built for the team leader’s willing, voluntary usage, they will most likely fail. If you have an effective tool, you will not need to coerce your team leaders into using it – it will come naturally to them. It’s in the real world. These numerous HR systems must talk to each other. Your busy team leaders can’t be asked to integrate all of the different tools, languages, and systems – they just won’t do it. The team leader’s challenge isn’t to integrate HR tools, it’s to turn their team member’s talents into performance. Anything less than that is a waste of time.